Just far enough off the beaten path to keep the crowds away, Virginia Lakes is an oasis for anglers and those who wish to get away from it all. 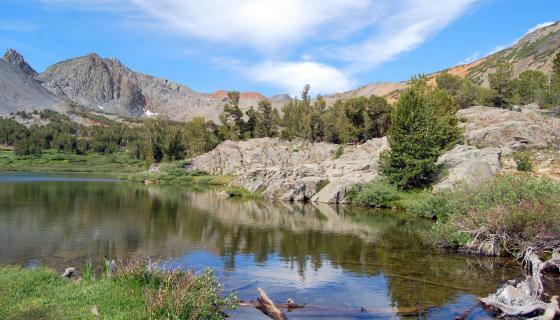 A mere six miles off Highway 395 from Conway Summit (about halfway between Lee Vining and Bridgeport), Virginia Lakes consists of nearly a dozen alpine lakes located more at than 9,000 feet high in the Sierra. Three of the lakes are drive-to, with options to take anything from short strolls to long hikes to reach many others. Trumbull, Little Virginia and Big Virginia Lakes are all accessible by vehicles and offer camping and solid fishing. The Virginia Lakes Resort includes cabins, a general store, but none of the usual distractions like television or internet access. It’s a little quieter, too, as gas-powered boats aren’t allowed. The isolated location, hidden beneath Dunderberg Peak and Black Mountain, gives the Virginia Lakes Basin a cozy and quiet vibe, which helps keep the crowds away, making the Virginia Lakes even more appealing to many of us. 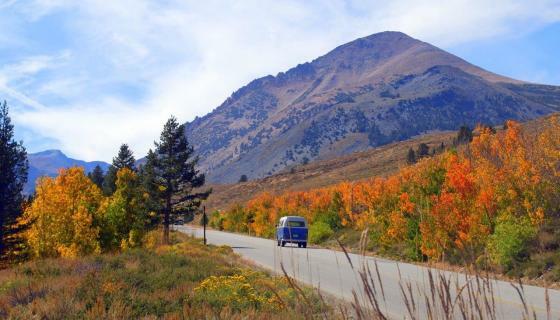 Directions: From Highway 395 at the top of Conway Summit, take Virginia Lakes Road six miles. The Trumbull Lake Campground is located along the banks of the lake and offers over 30 sites. The site doesn’t include RV hook ups but does offer bear boxes, vault toilets, potable water and garbage. 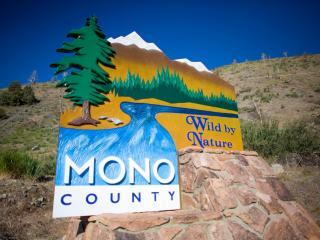 For more information or to reserve a site, please go to recreation.gov or call 877-444-6777. There is also a primitive campground at Lower Virginia Creek. The Virginia Lakes Resort on Little Virginia Lake offers cabins, a general store and a boat ramp. For more information, please check out virginialakesresort.com or call 760-647-6484. It’s not often that you can find a drive-to High Sierra lake in mid-summer all to yourself, but it can happen at Virginia Lakes. There are three drive-to lakes and another half-dozen lakes that are easy hikes away. They all provide quality fishing and don’t see the pressure most other lakes in the area do. Trumbull, Little Virginia and Big Virginia Lakes are all easy to reach and can be successfully fished by non-gas powered boats, float tubes, canoes or from the shore. None of the lakes are very large, with the 27-acre Big Virginia being the largest. Some lakes, like Blue and Red, are close enough to easily hike float tubes or little anglers to. 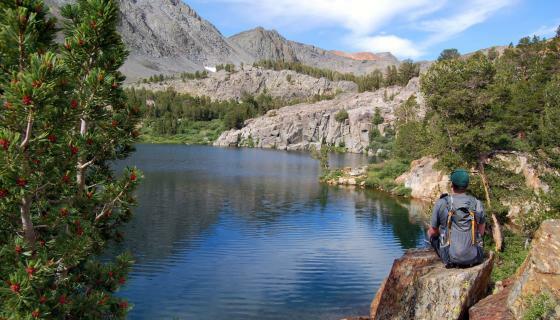 The Virginia Lakes Basin is home to healthy populations of rainbow, brook and some brown trout. Virginia Creek, which flows out of the Little Virginia Lake, also offers solid small stream fishing.